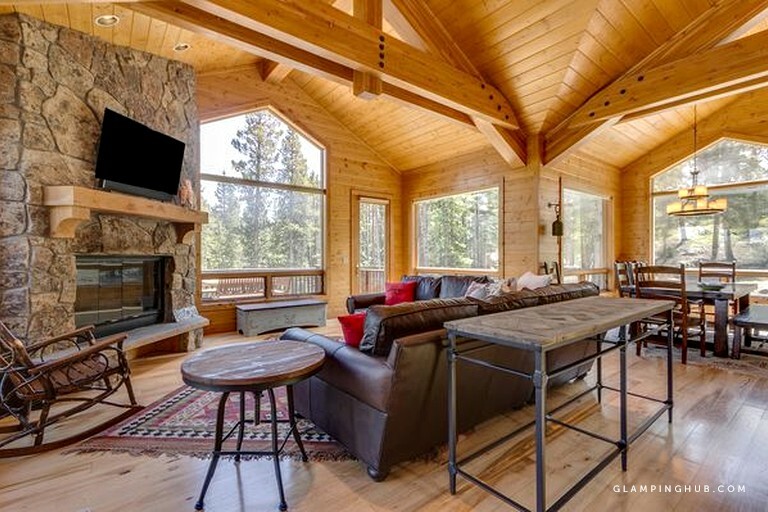 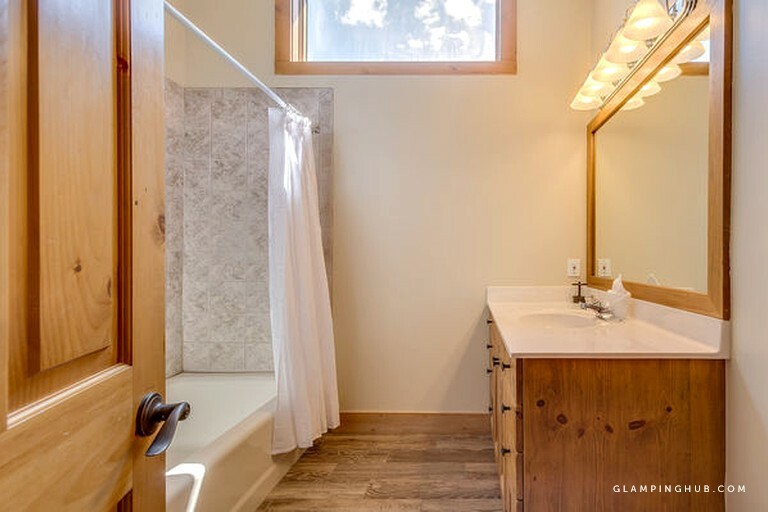 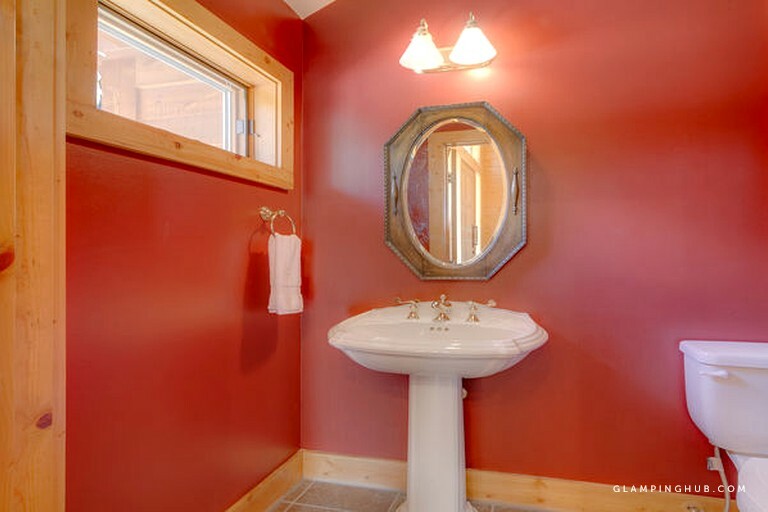 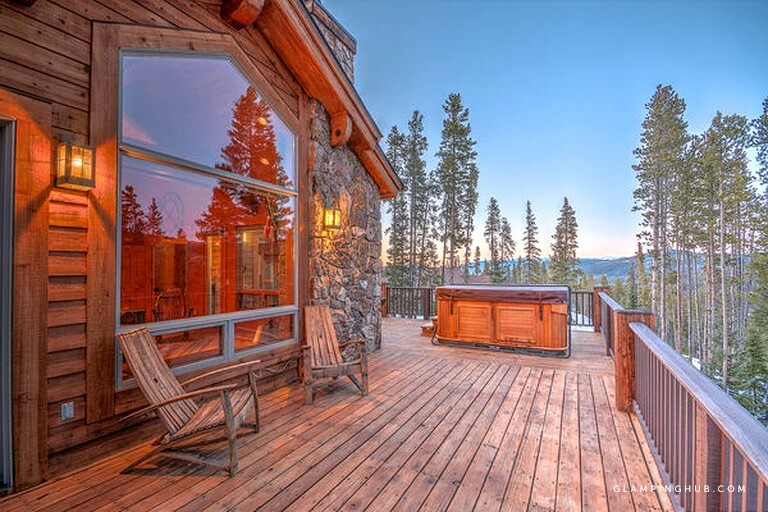 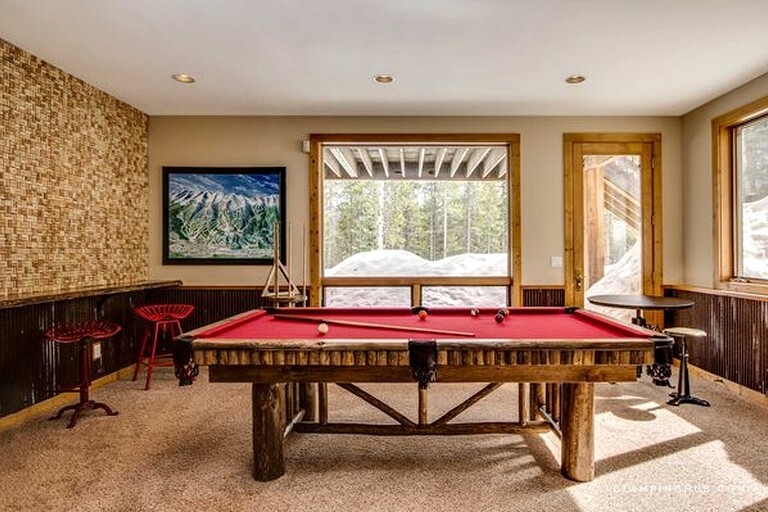 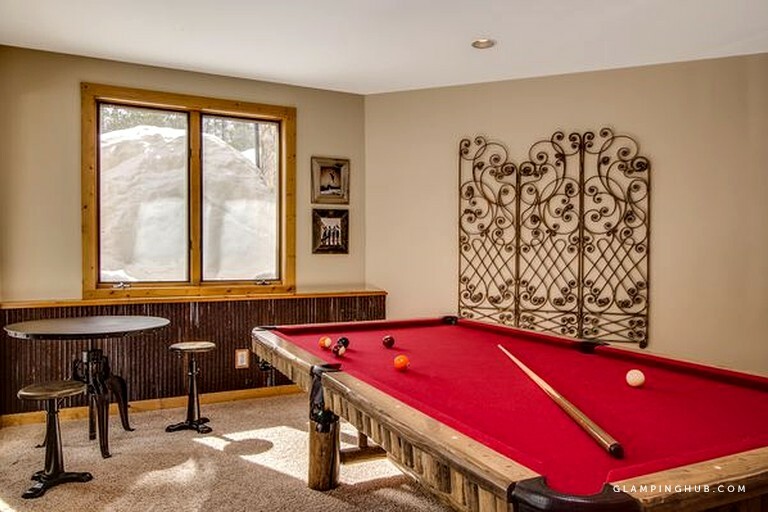 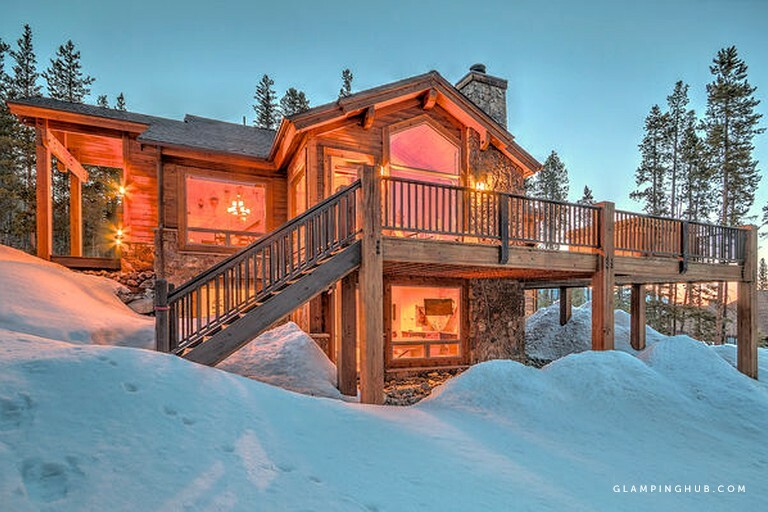 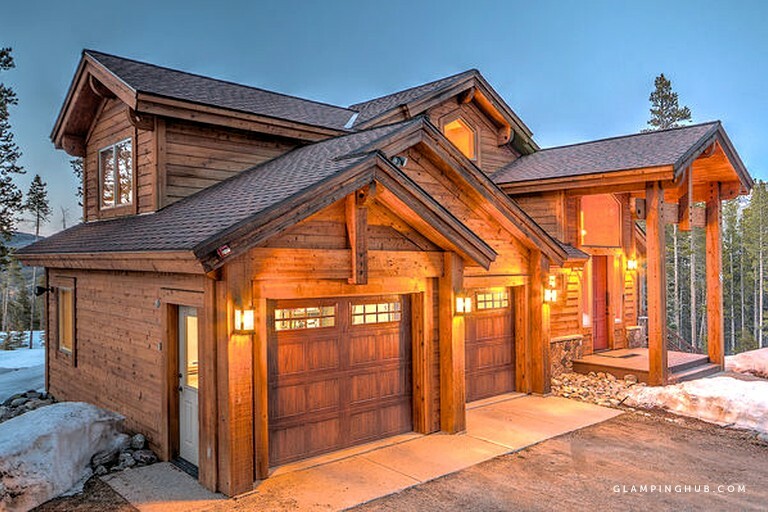 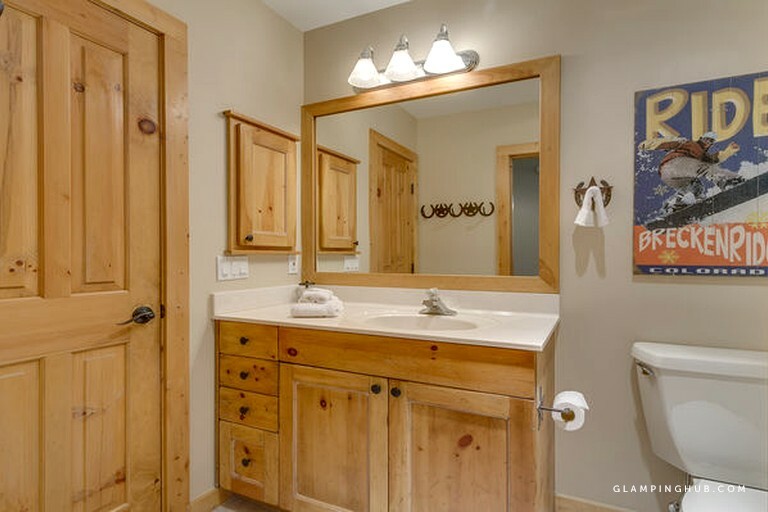 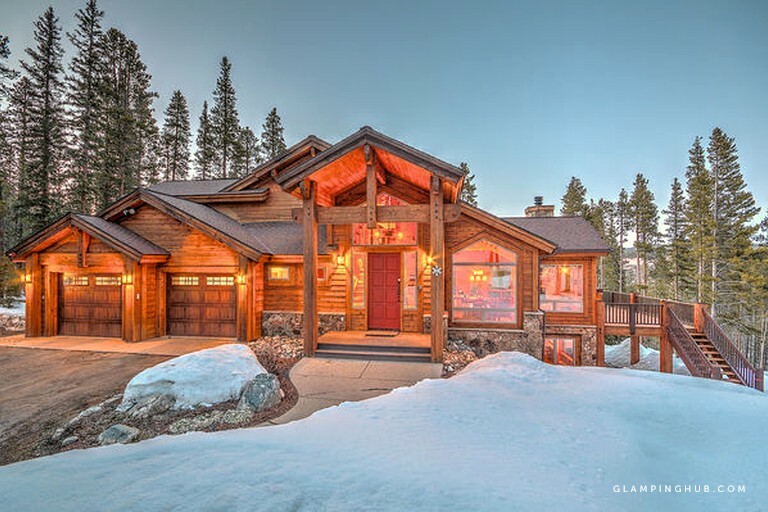 This log cabin rental in Breckenridge, Colorado, radiates luxury from every last detail. 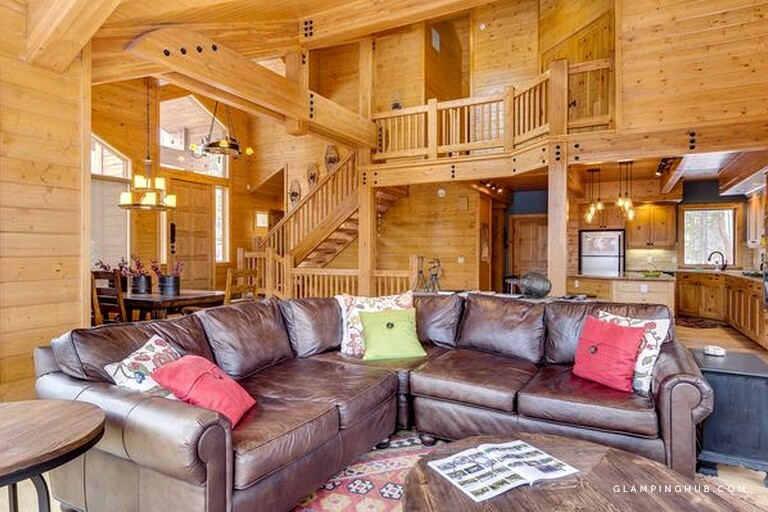 As guests enter from the heated parking garage, they are met with gorgeous cathedral ceilings and exposed wood beams. 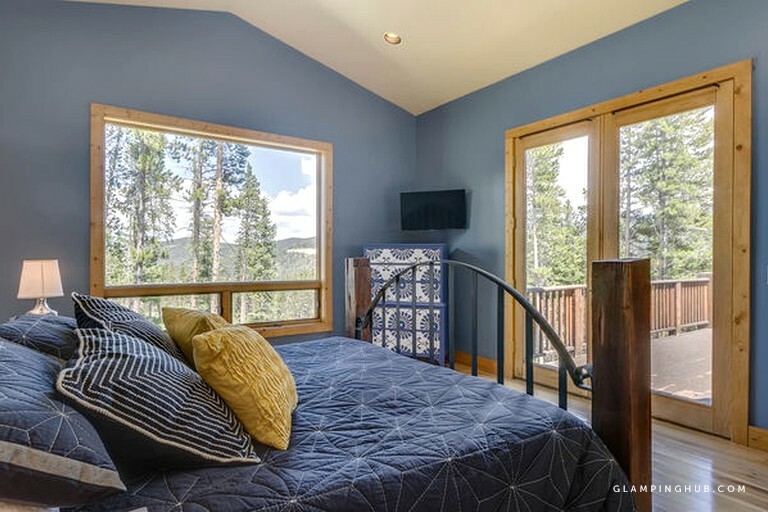 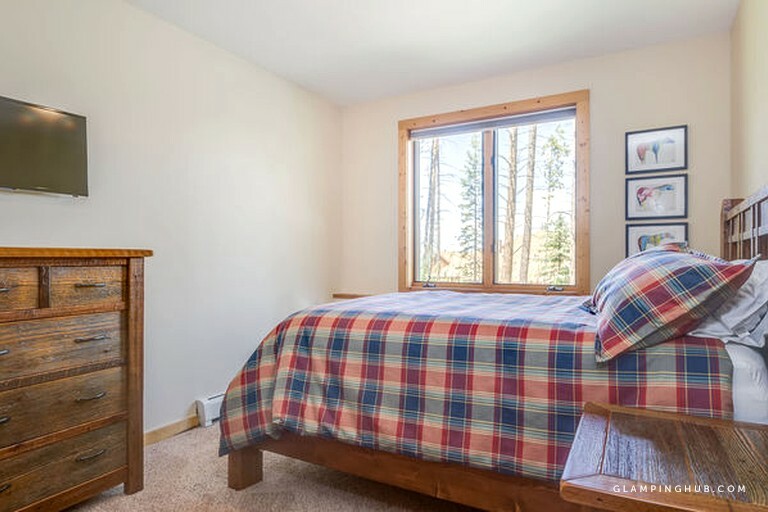 An abundance of windows bathes the property in beautiful natural lighting and also lets guests enjoy the Rocky Mountain views from the comfort of the sofa. 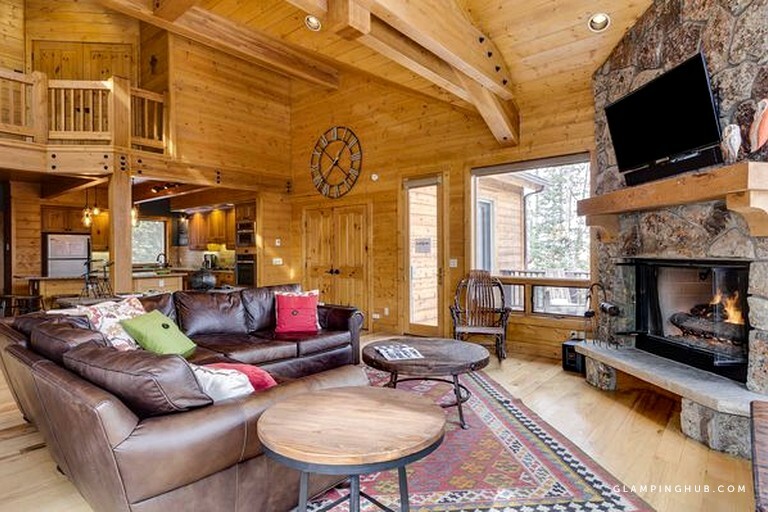 There are five bedrooms with flat-screen TVs in the log cabin, sleeping a total of 15 guests. 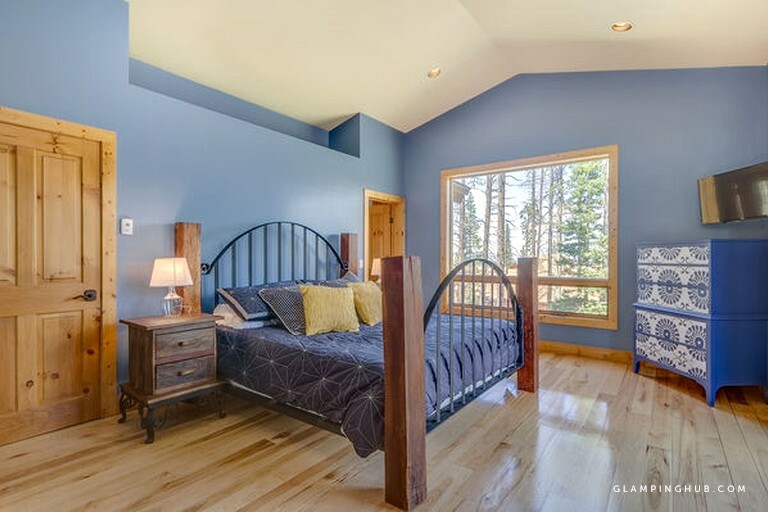 The master bedroom has a king-size bed on an iron and wooden bedframe and is on the ground floor of the rental. 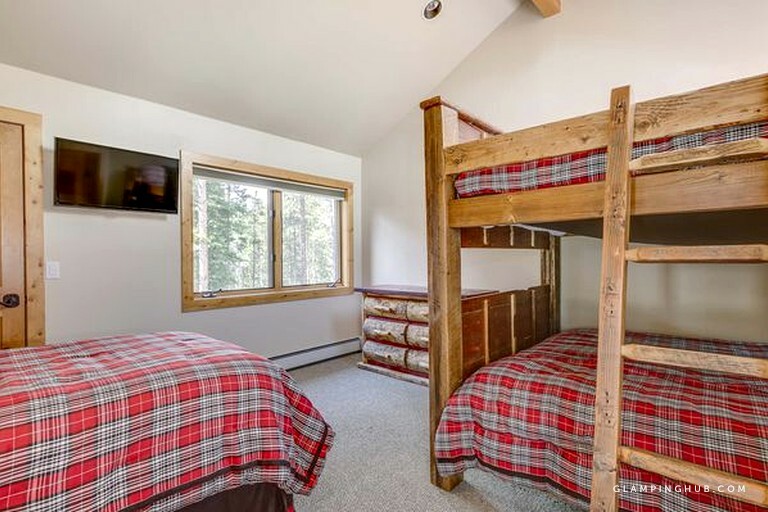 The two bedrooms on the top floor are perfect for the kids, one room has two queen-size beds and the other has a queen-over-queen bunk bed and one stand-alone twin bed. 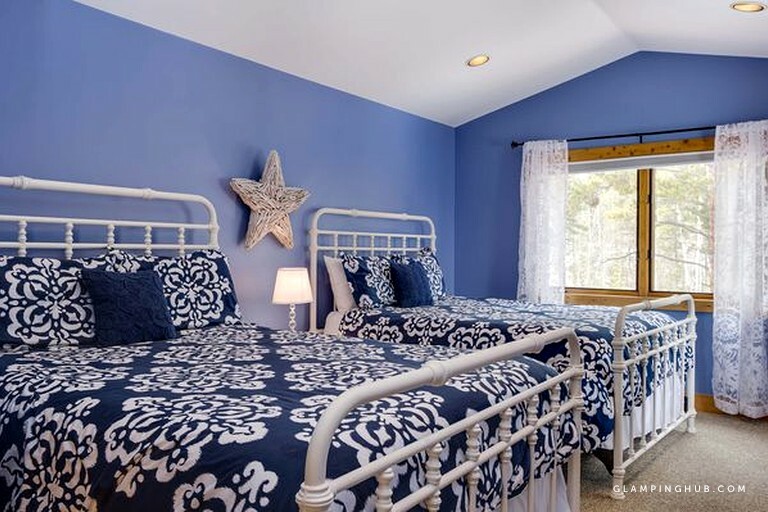 On the ground floor, guests will find two more bedrooms, each with a queen-size bed, flat-screen TV, and an en-suite bath, making the rooms perfect for couples. 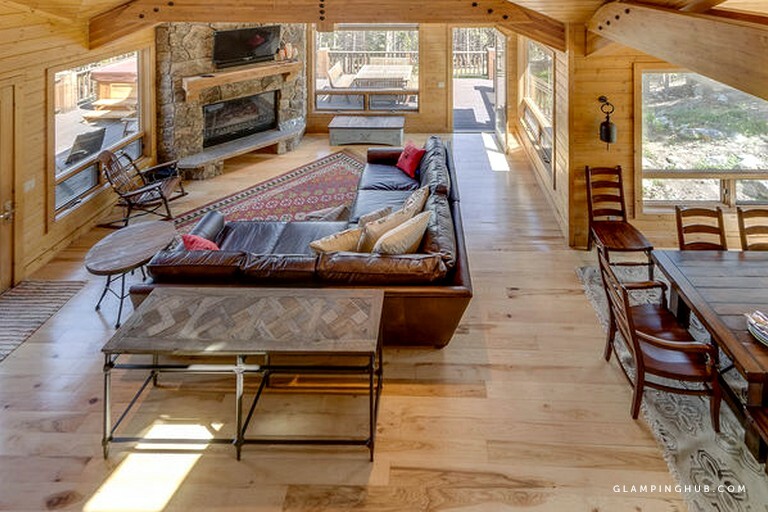 The living area of the log cabin is where guests will love spending time together. 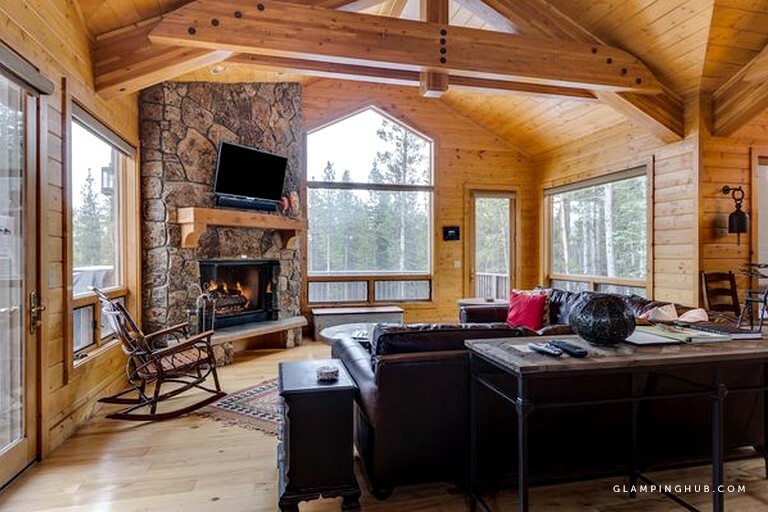 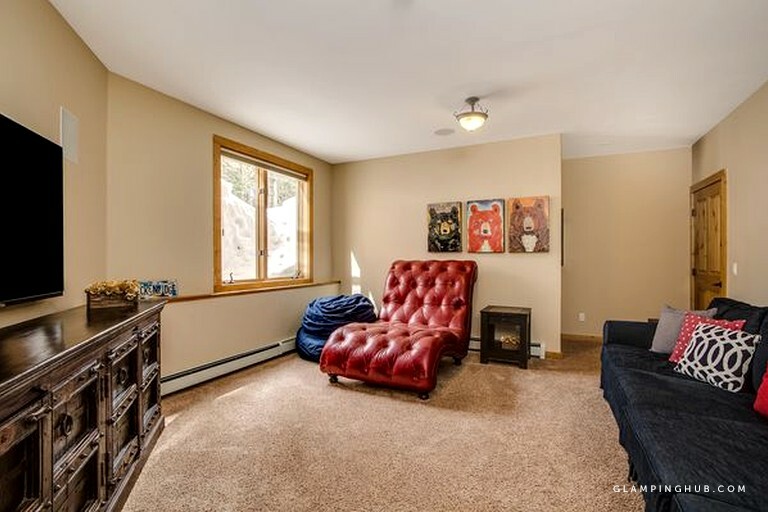 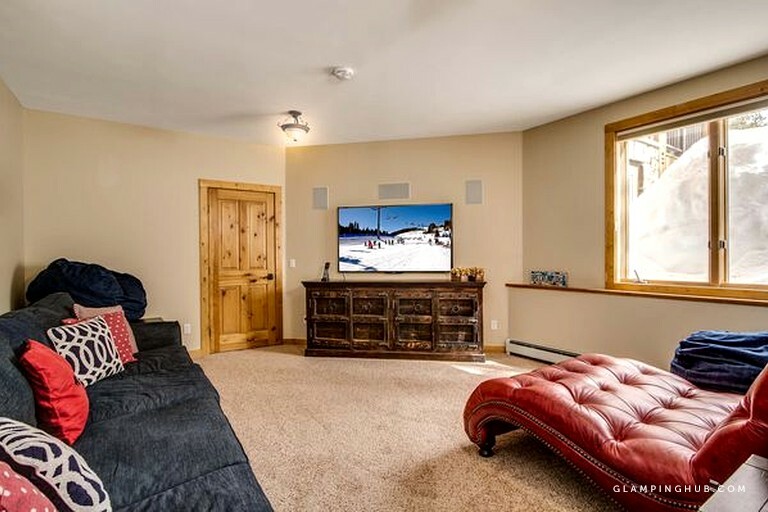 They can sink into the wraparound couch and curl up with a good book in front of the gas fireplace while enjoying the stunning views of the Rocky Mountains. 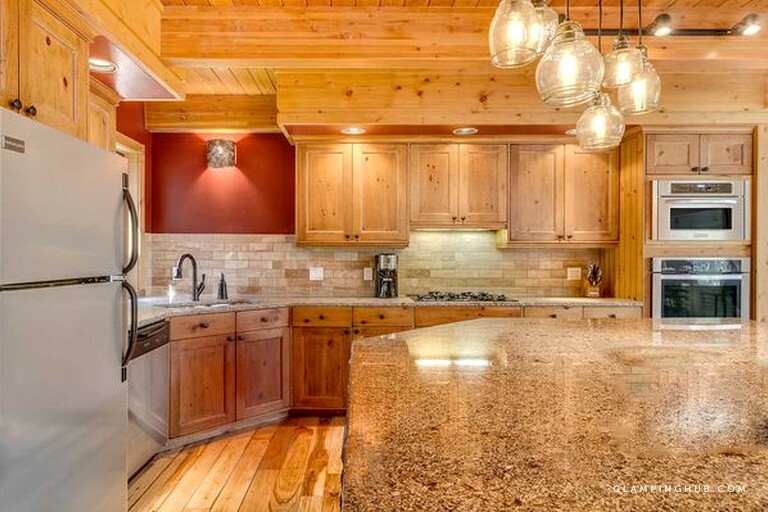 The gourmet kitchen has all stainless steel appliances with a beautiful granite island in its center. 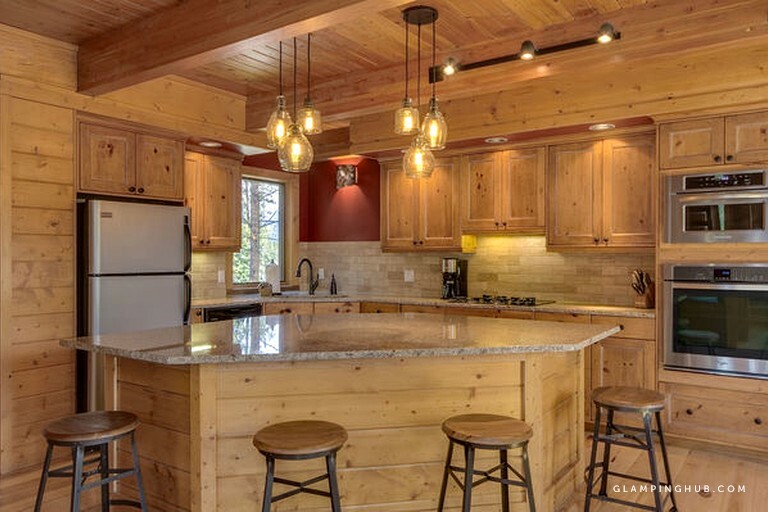 Here guests have bar seating where they can eat breakfast or keep the chef company while they cook. 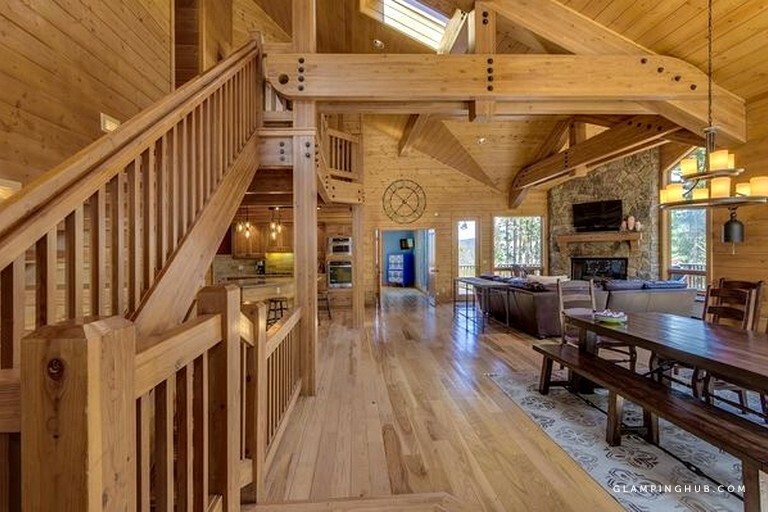 The island also houses a beer fridge underneath—a feature that always stands out to guests. 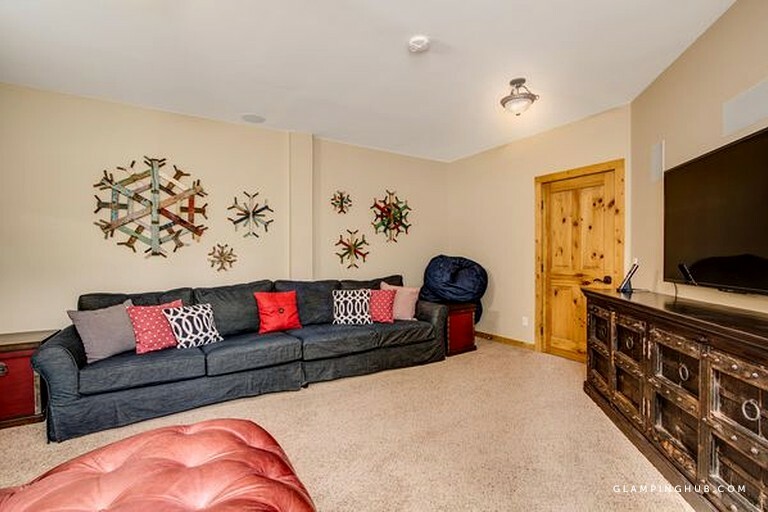 This property has all the standard facilities and appliances guests might find in their own home, but what really makes it stand out are the luxurious extras included in the property. 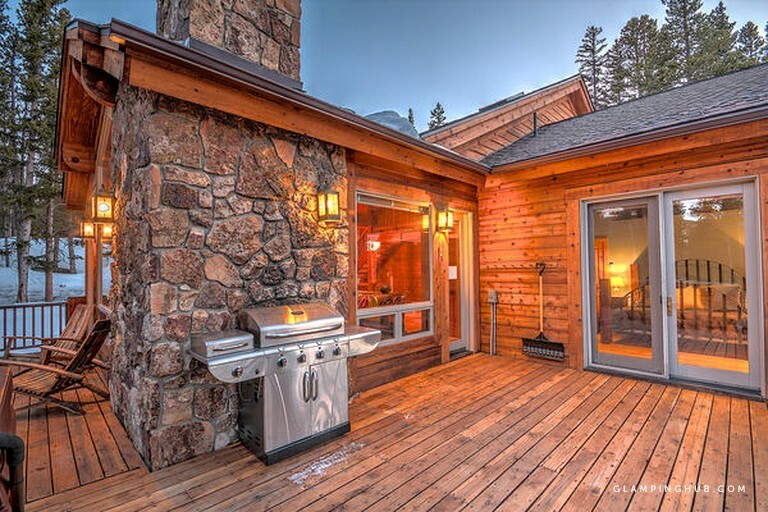 Starting with the more basic, there is a gas grill and a fireplace. 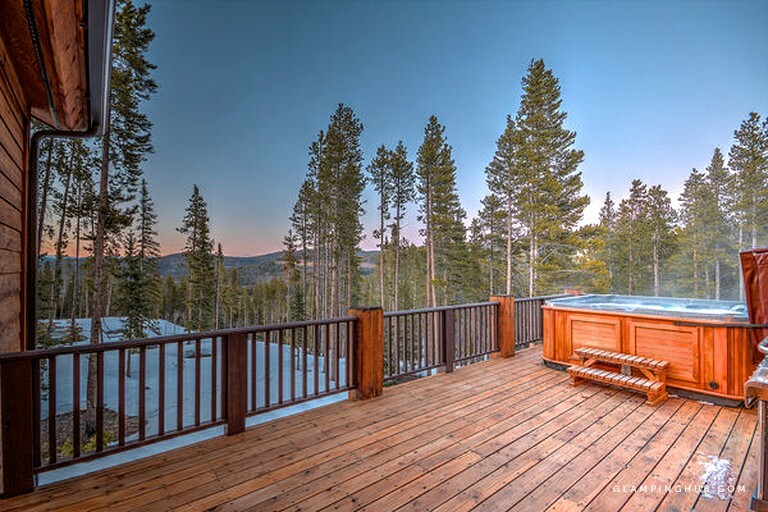 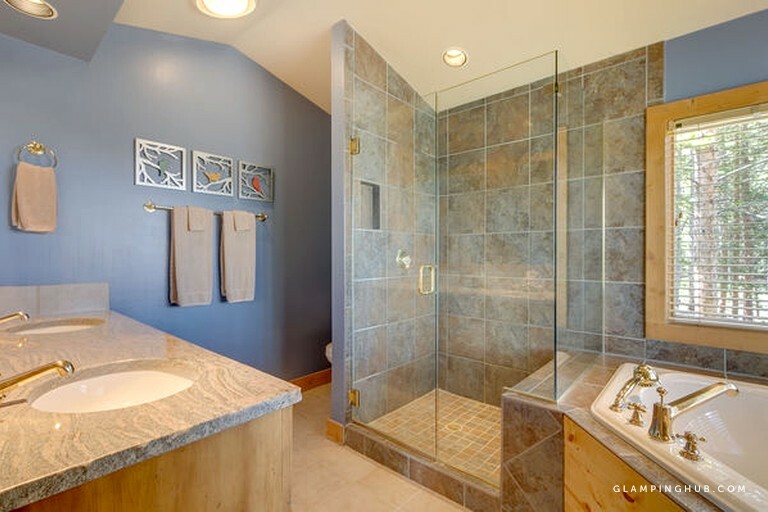 What will really make guests fall in love, however, is the private hot tub, pool table, and in-home theater system. 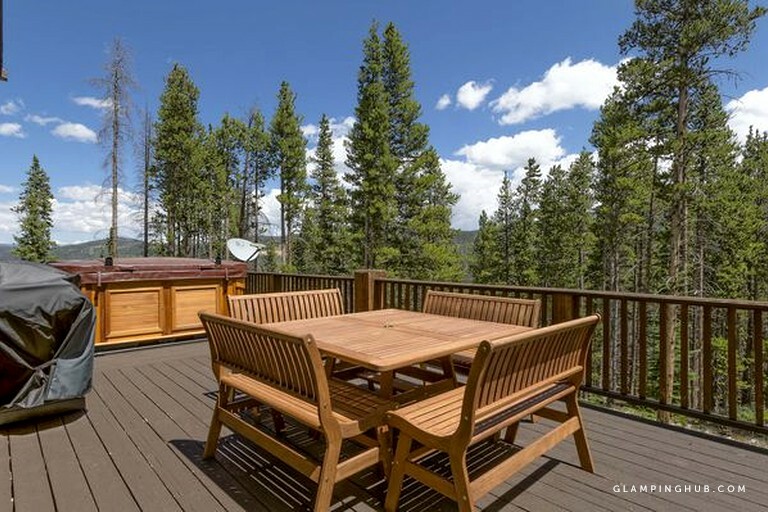 Colorado is an amazing place to go glamping, with an outdoors mindset and endless acres of pristine and wild landscape. 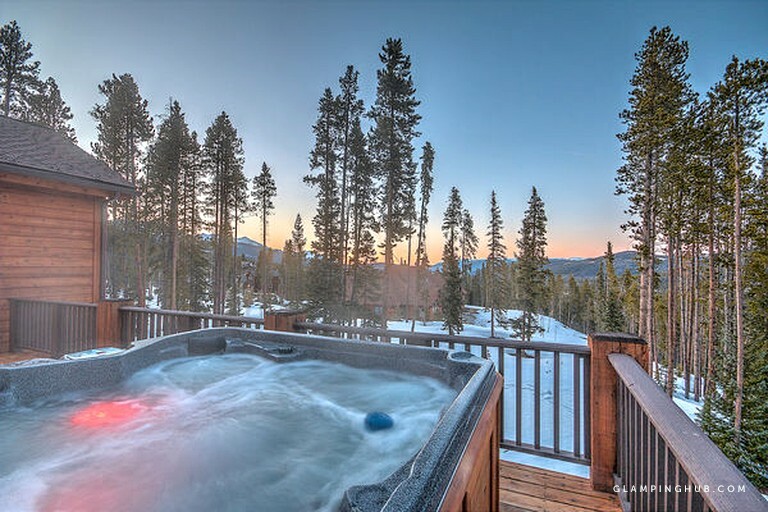 The Breckenridge area itself is popular with avid skiers, hikers, and history lovers alike. 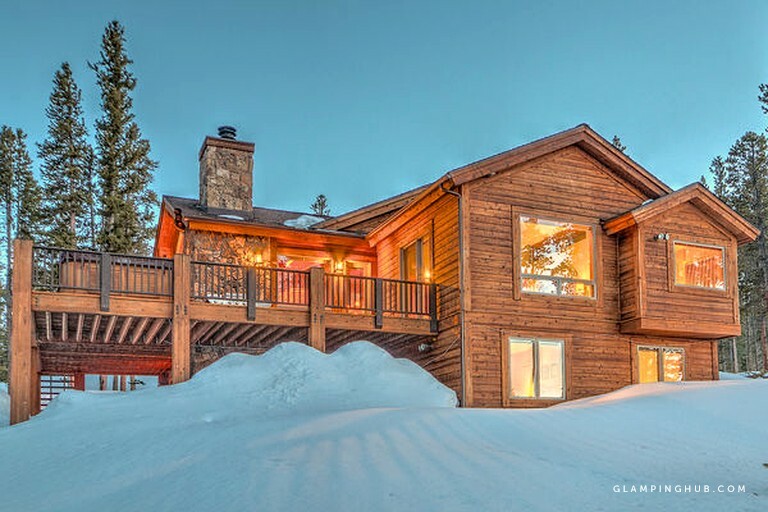 There is an endless list of things to do during any season of the year, all outdoors. 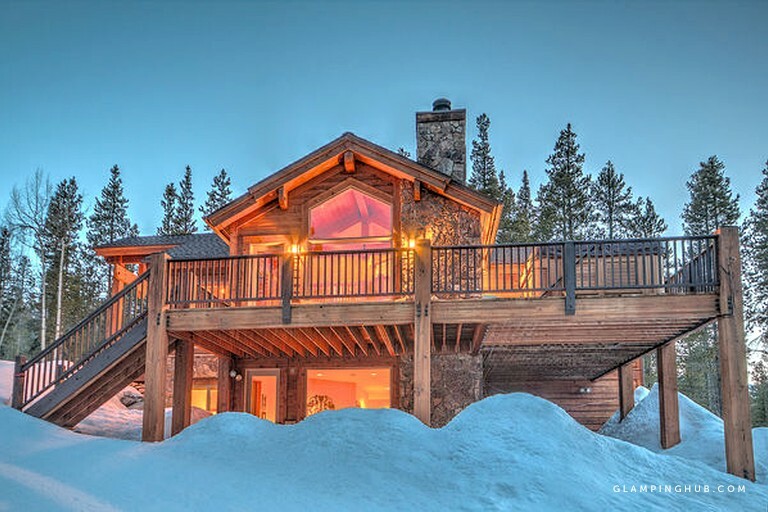 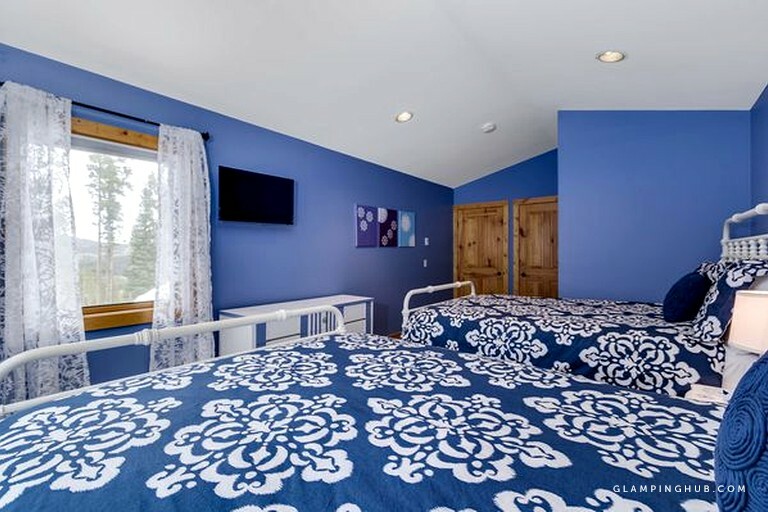 In the winter months, guests can ski or snowboard at the Breckenridge Ski Resort, or partake in cross country skiing, dog sledding, and snowmobiling. 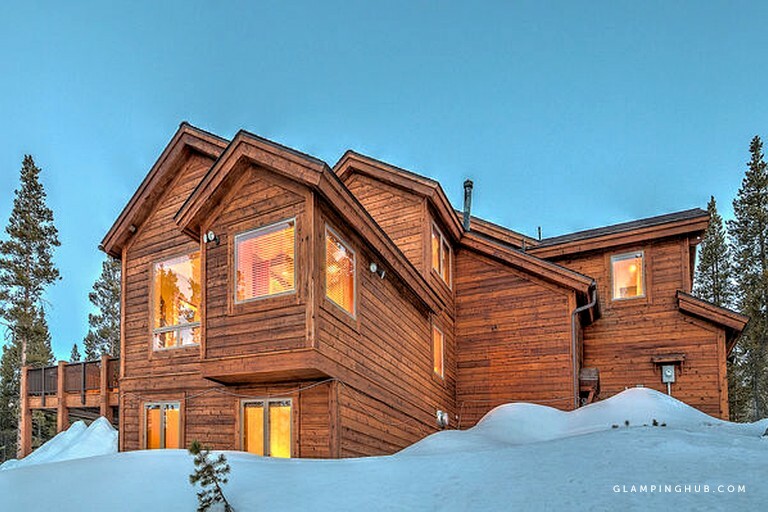 The resort also offers ice skating and ski schools. 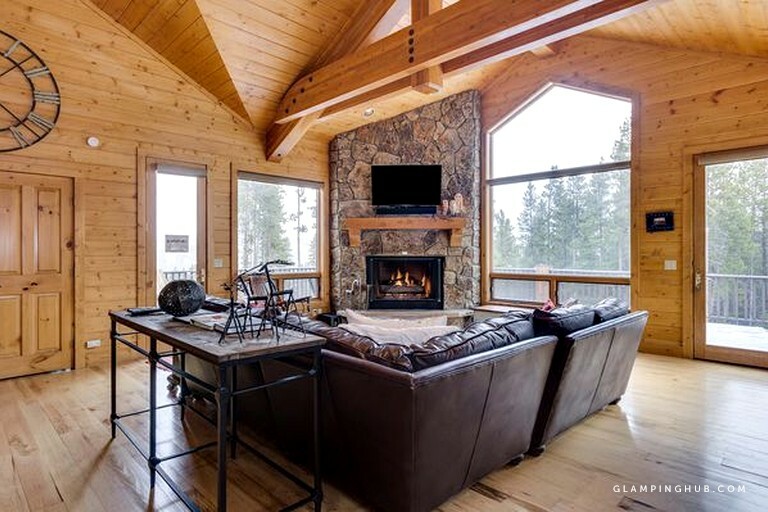 There are maintained trails for all abilities of skiers or snowboarders so that the whole family can enjoy a day on the mountain. 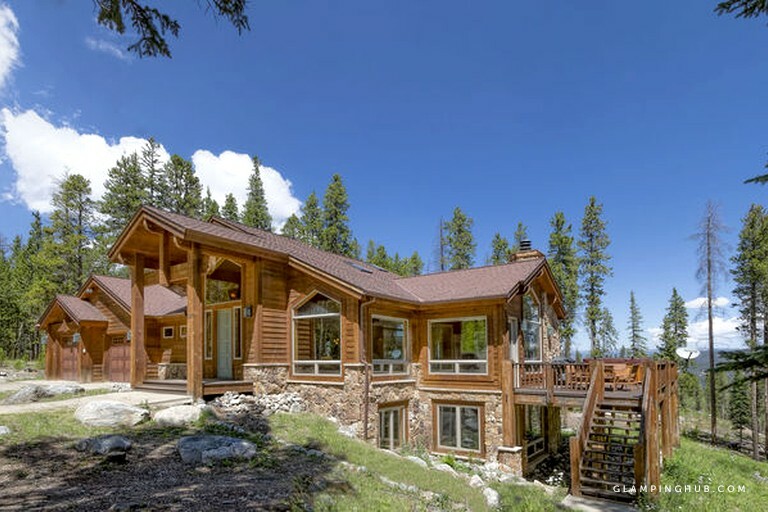 During the summer months, guests can go fly fishing on the nearby Blue River or go hiking, summiting mountains like the nearby Tenmile Range or Mount Guyot. 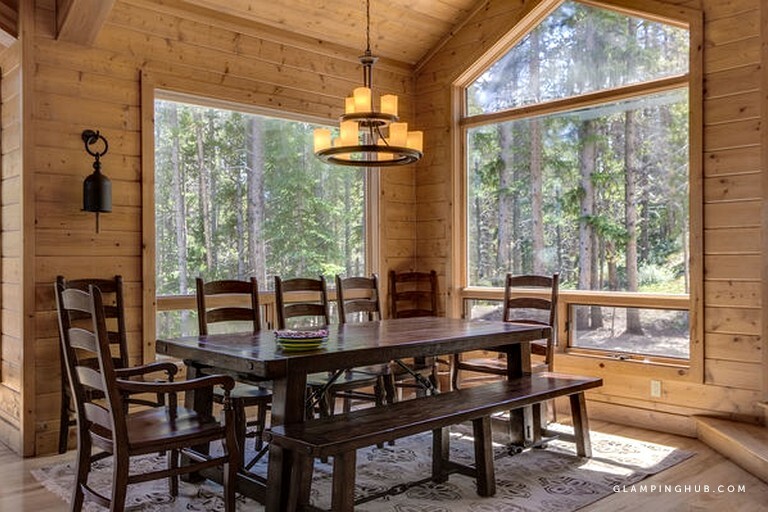 More leisurely trails are available to walkers who still want to stretch their legs and enjoy the surrounding landscape, too.